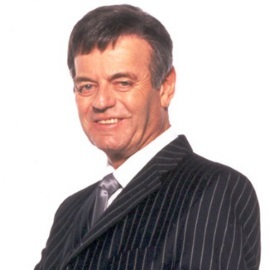 Tony Blackburn is one of the best known radio DJs in Britain, as admired and respected today as he was when taking the helm at pirate radio station Radio Caroline in the mid 1960s and as a mainstay presenter of Radio One in the late 1960s and 1970s. He was the first disc jockey to broadcast on BBC Radio 1 at its launch in 1967 and stayed with the station for over 17 years. On TV, he is best remembered as one of the regular presenters of BBC's world famous Top Of The Pops. Tony continues to make guest appearances on a wide range of television shows and was the winner of I'm A Celebrity - Get Me Out Of Here (ITV) in 2002. In November 2010, Tony replaced Dale Winton as the host of BBC Radio 2's Pick Of The Pops programme. He now presents the show every Saturday from 1 pm to 3 pm, as well as hosting a show on Sundays from 12-3 pm on BBC London 94.9 and a weekly Sunday show on Magic 1161. Tony's lively, cheerful personality allied to total professionalism makes him a favourite with audiences across a wide range of events. In addition to making personal appearances, he has long been popular as an Awards Host and Presenter at Corporate Events. To book Tony for your event, contact a Prime Performers Booking Agent via the online booking enquiry form or alternatively call 020 7251 8222.